Kabul and even Afghanistan in general has become one of those destinations where foreign governments take safety and security very seriously. If you are travelling to Afghanistan as a diplomat, then it is very likely that your department officials would have already given you a briefing and reminded you of instructions to follow. But, it is always better to know more about something as important as this. Therefore, we have made a list of five most important security tips to keep in mind, to ensure a secure stay in Kabul. 1. Personal Security Guards –Your government may also give you bodyguards to follow you around, especially if you are to travel beyond the main cities of Afghanistan, but if you aren’t very satisfied with the arrangement, you can naturally invest in armed and trained personal bodyguards. 2. Secure Accommodation – Ever since a few hotels were under security breach attacks a few years ago, there have been a lot of the hotels who have amped up their security on ground, with the best guards and the latest technology. Make sure you find such a hotel that has received a diplomatic status hotel in Kabul or other big cities. We suggest the Darya Village Hotel and Business Park for its high security and their luxury hotel accommodation in Kabul. 3. Information – Make sure that you register with the right authorities as soon as you land and update your plans and whereabouts to them daily. Also, stay in touch with the relevant local bodies to stay updated on the necessary security information such as conditioned of roads and occurrences of strikes if any, on a daily basis. No security related information should be neglected or overlooked. 4. Tradition and Customs – Though you might be new to a lot of practices followed in the country, be sure to always respect them and not react in an unwelcome manner. Any religious or cultural norm and practice should be considered with the utmost respect, and there will be certain norms that even a visitor has to follow. Take note of all such practices. Afghanistan is also a country where the men and women do not mingle much, so whichever gender you belong to, you might want to exercise a little prudence. 5. Communication – One of the most important steps to a guaranteed secured stay in Kabul is your accessibility to communication devices. All major cities like Kabul and Kandahar have good cell reception and Internet connection. But as you travel further away, you may be required to carry satellite phones that keep you connected at all times. Make sure that all your communication devices are fully charged, in working conditions and are with you at all times. 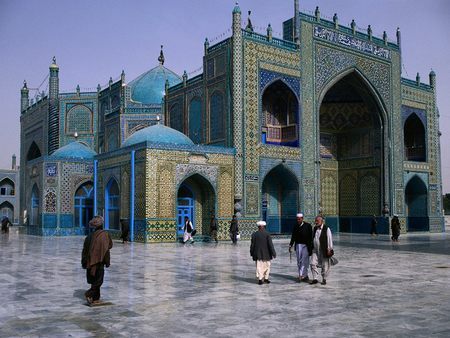 Regardless of the intensity of the security tips given, Afghanistan is a historically enriched country to visit. Following the above five steps could simply make your trip productive and stress-free.